Weiming Lake is a famous scenic spot in Peking University. 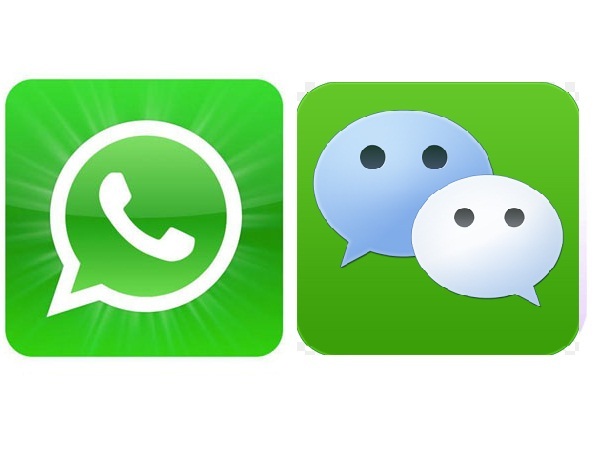 In Chinese, "Weiming" means "without being named". Because many people in history tried to name it by capturing its essence, but all failed, so Qian Mu, a famous scholar in China, gave the lake the name. 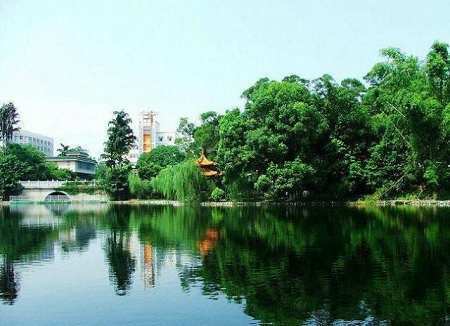 Located in the center of the campus, the lake was once the royal garden in Qing Dynasty (1644-1911). Today it is still regarded as a sacred lake by many visitors. On the hill of the southern part of the Weiming Lake, there is a tower named Boya. It is an imitation of the Tongzhou Randeng ancient tower. The combination of the lake and the tower forms a distinctive landscape. The students in Peking University can be seen reading and studying beside the lake. In the winter, when the lake freezes, the students skate on it. 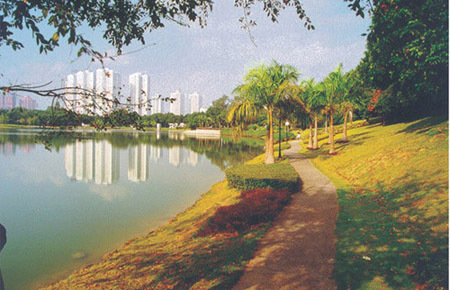 Wenshan Lake is located in Shenzhen University, on the coastline of Shenzhen Bay in Guangdong Province. Covered with lush trees, the lake spreads across the rolling hills. It boasts green space and sculptures. There are five isolated islands in the lake centered by Shuangfeng Island. It measures 500 meters long and 250 meters wide. The terrain to the east of the island resembles a huge eagle diving to the water area, so the implied meaning means "Eagle hitting the water". 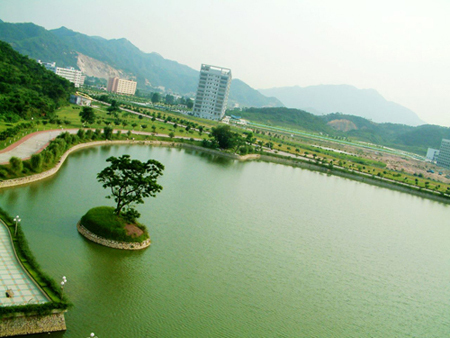 Located to the west of the school buildings in Sun Yat-sen University in Zhuhai city, Guangdong Province, Yinhu Lake is an attractive scenic spot on the campus. The green water ripples in the sunlight. The peaceful environment attracts the students and visitors to go there for sightseeing and relax. Located at the coastal side of the Pacific Ocean, Xiamen University in Fujian Province is noted for its beautiful scenery, which is praised as the No.1 among the universities in China. On the campus, there is a lake called Furong (Lotus) which even makes the university more charming. In history, Furong Lake was the place for the process, transportation and storage of rice. Today, it absorbs the local building style. 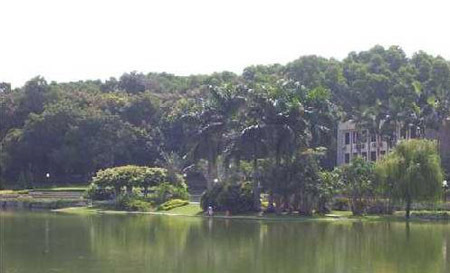 Together with the old channel, it is a unique landscape in Xiamen University. Dushu Lake is located in the south of Suzhou Industrial Park in Jiangsu Province, near Soochow University and to the southeast of ancient Suzhou city. It is a fresh water lake covering an area of 9.9 square kilometers. The lake boasts clear water and beautiful scenery. 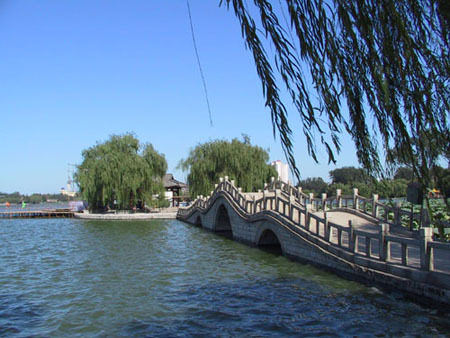 It is one of the big lakes in Suzhou and about one time larger than Jinji (Golden Rooster) Lake. Covering an area of 4.12 square kilometers and located near Guangxi University in Nanjing, Guangxi Province, Xiangsi Lake is an enchanting scenic sight full of vigor. There are shoals of fish and swarms of ducks. Visitors can go there for sightseeing, fishing, sailing and ball activities. The flowers blossom in the four seasons, making the scenic sight scented with perfume all the year round. The beautiful Daming Lake is situated in northern Jinan city in Shandong Province and near Shandong University. It covers an area of 46.5 hectares which is almost one third of the old city of Jinan. The lake boasts willows, pavilions, ponds and lotus which form a poetic natural environment. It collects many fountains such as the pearl fountain. The landscape differs in the four seasons: and people say it appears the best in autumn. There are a group of scenic spots including Lixia Pavilion and Tiegong Ancestral Temple. 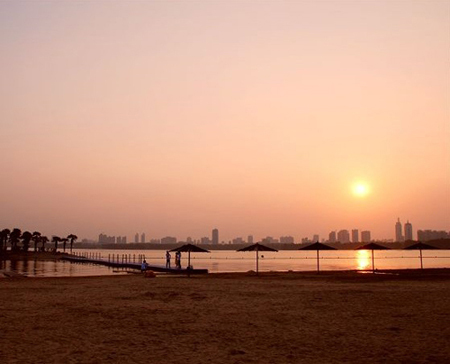 Since ancient times, the Daming Lake has been the place of culture and humanity in Jinan. Visitors can find masterpieces by emperors, scholars and noblemen of successive dynasties around the lake. Tangxun Lake is located beside Wuhan University of Science and Technology Zhongnan branch in Hubei Province. Surrounded by the Meinan Mountain, it boasts a nice natural landscape. Besides, visitors also go there for fish balls. The fish ball in Tangxun Lake is one of the new snacks in Wuhan, which enjoys the equal fame with the duck neck. 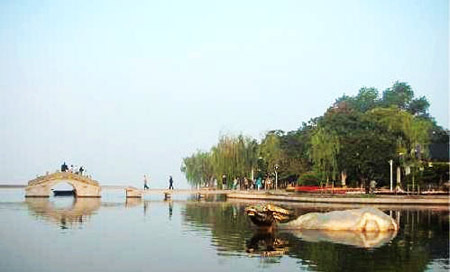 Tangxun Lake Scenic Area is the first holiday zone in China that features the culture of totems. There is a big square composed of 68 typical ethnic totems. In the scenic area, there are fishing pools, swimming pools, Mongolian yurts, manmade waterfalls and bridges. Meanwhile, a lot of performances related to totem culture are also held in the village. Located in the east of Wuhan, Hubei Province, the East Lake in Wuhan University is the largest city lake in China which covers an area of 33 square kilometers. It is built in the ancient style of the Chu state, as Hubei Province is the birth place of Chu culture. The famous scenic spots include Xingyin Pavilion, Lisao Stele, Chu Heaven Platform and Chu Talent Park, Quyuan Statue and Quyuan Memorial. Due to its winding banks and crisscrossing ponds, the East Lake is also called "a lake with 99 bays". Along the bank, the major scenic spots include the Mo Hill (Millstone Hill), Luoyan (Diving Wild Goose), Chuidi (Playing Flutes), Tingtao (Listening to Surging Waves), Baima (White Horse) and Luohong Hills (Luojia Hills and Hong Hills). Besides the charming scenery, the East Lake also boasts incredible recreational facilities such as the ropeway, yachts, tandem bikes and play ground for children. 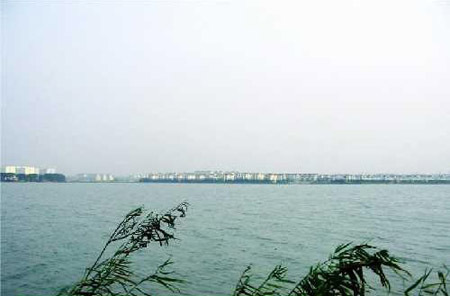 Located in Hubei University, Shahu Lake is the biggest natural lake in Wuchang district, Wuhan city, Hubei Province. It is also the second largest lake after the East Lake. It boasts lush willows and sparkled lake. The enchanting scenery attracts students and lovers for reading and dating.